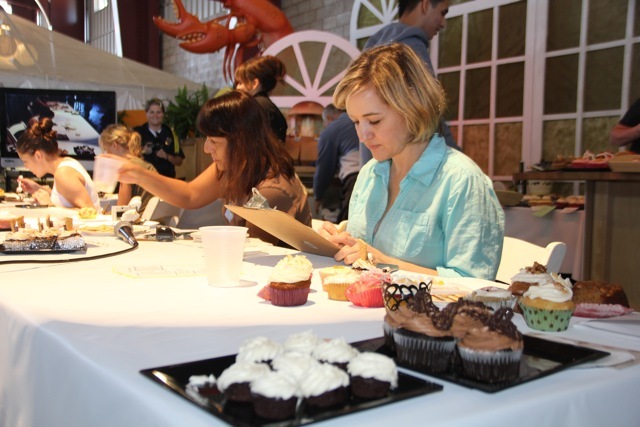 I was honored to spend part of last Saturday judging dozens of cupcakes at the Orange County Fair’s annual Cupcake Classic. I had such a great time! 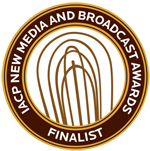 Having never been a judge before, I didn’t really know what to expect… and I was pleasantly surprised. 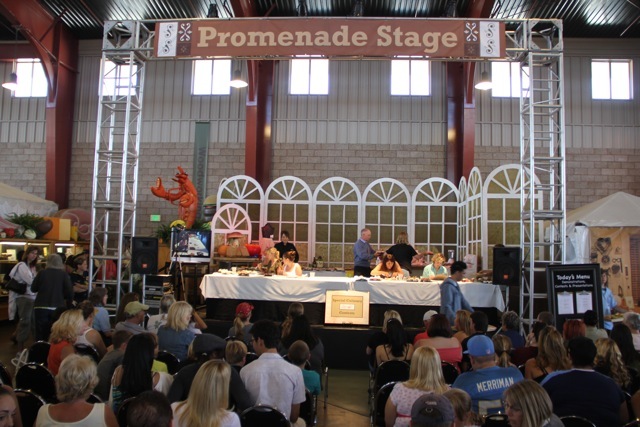 Here’s a rundown of the event, along with some insights on how to prepare for a cupcake contest — whether you’re a judge or a participant. I’ve lived in Los Angeles most of my life and had never gone to the Orange County Fair, so I was pretty excited. 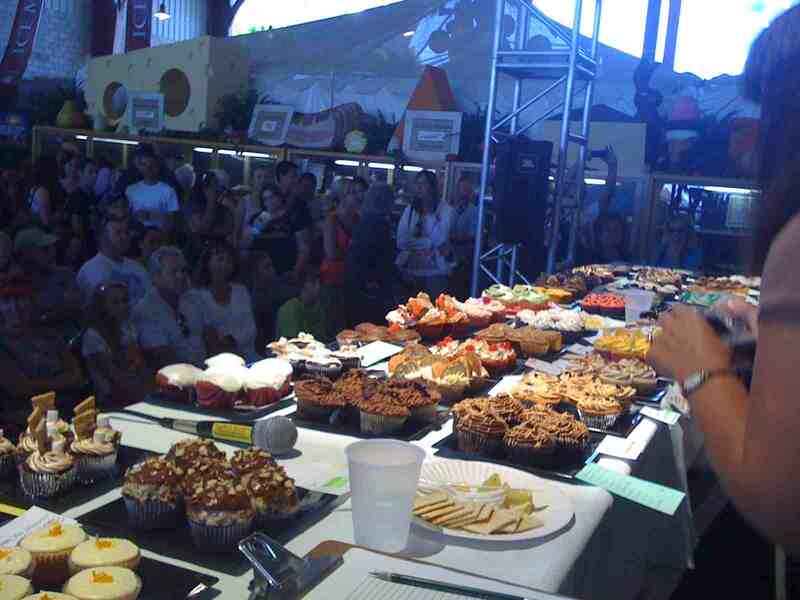 When I arrived, I was amazed at the size of the crowd gathered around the Cupcake Classic stage. Everyone was so nice! There were hundreds of cupcakes... every shape and flavor! I’m the last on the right (stage left). To my right is @FastFoodMaven, @TwoPartsSugar (she was on Cupcake Wars) & @CupcakeActivist. I actually read each recipe to see how they made the recipe… the cards were charming! Handwritten recipe notes with cute writing. At this point I had tasted about 14 cupcakes. WOW! I really need to color my hair! 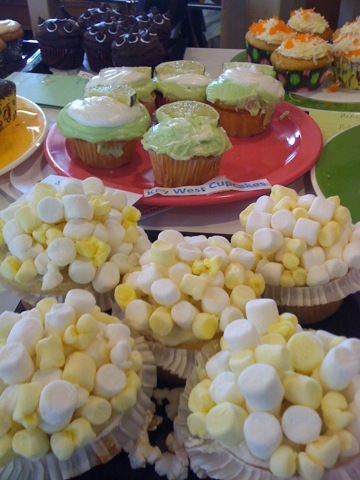 The Key West Cupcakes were really tasty (almost won “Best in Show”). The orange ones in the top right corner won the “Best in Show” for the kids division. 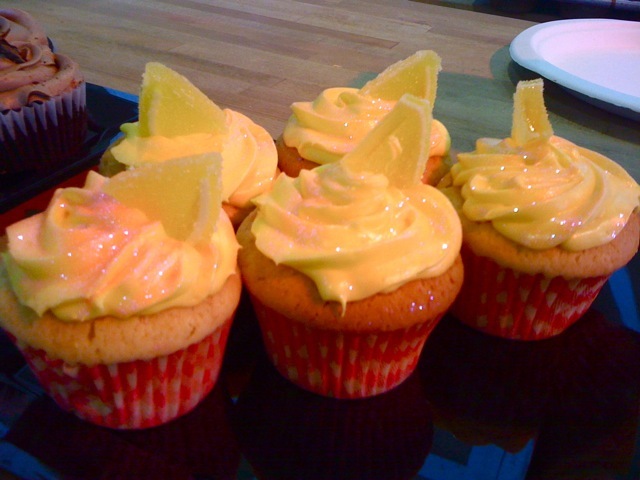 Those won because of the orange topping. The orange topping flavor was terrific. 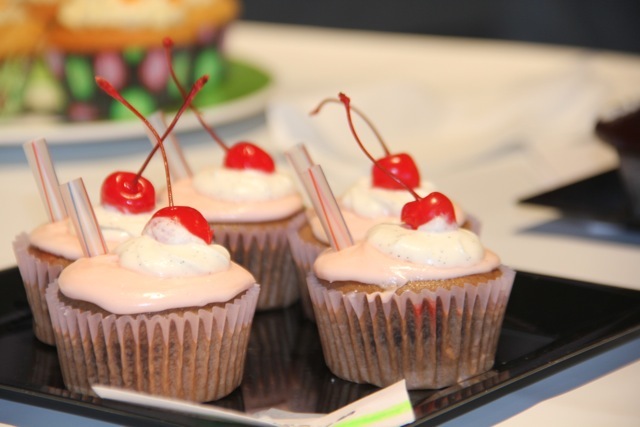 These were Cherry Cola cupcakes – Found out later that a teenager made these. The cake was a bit too dense, but the flavor was terrific. 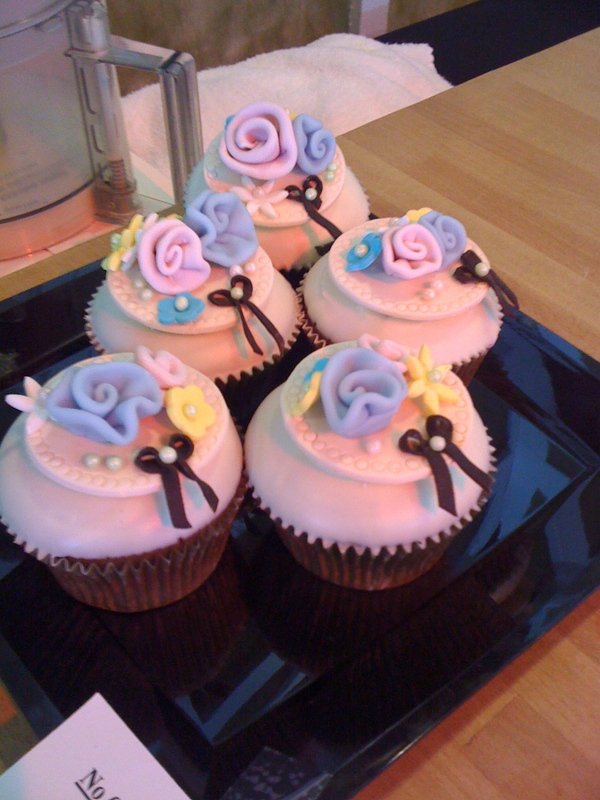 These were from a PRO baker, never did get the name of the baker and I didn’t get to try these…. but they were so cute! 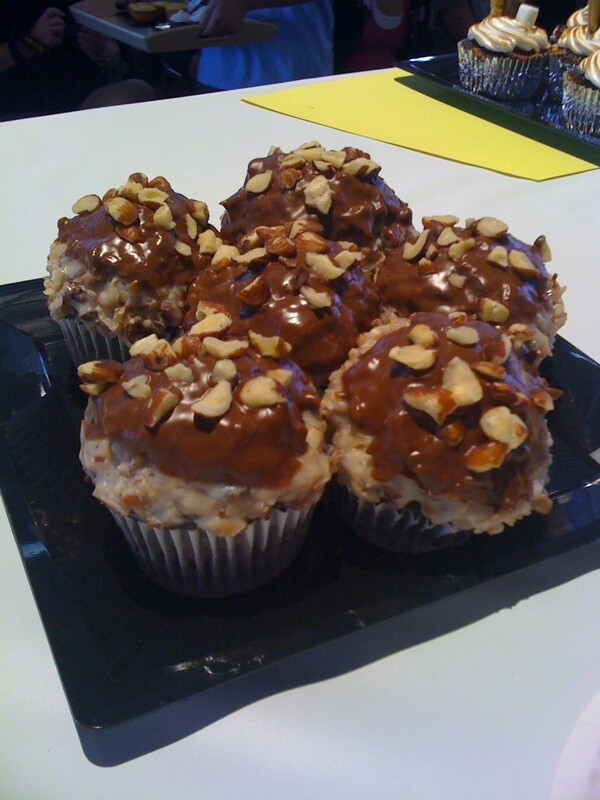 These were a Nutella Cupcake – a little too rich, but tasty. If they can thin these out to “muffin tops” in size they could be a real winner. The taste was terrific! I would love this recipe so I can tinker with it. 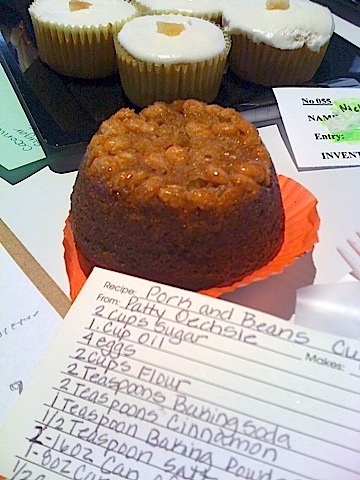 These were one of my favorite – “Pork n’ Beans Cupcakes”- I met the baker after the contest and she was so sweet. I don’t like pork, never have and I’m a vegetarian… you could imagine my dilemma. They turned out to be terrific and a tad sweet. Above the Pork n’ Bean Cupcakes are Ginger-Pear Cupcakes which were awesome. I don’t even like ginger and I thought they were really well done. They were on my top 5 list. These S’mores Cupcakes are a perfect example of a nicely done cupcake in terms of presentation – however the cake was too dry and the marshmallow topping was too thick or they had dried out a bit on the drive over. If they can work on their recipe a bit, I think they have a winner. Cupcakes that look this good would be the hit at any party. 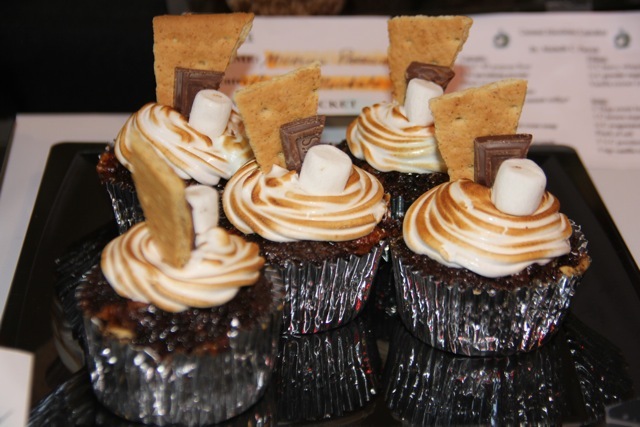 S'mores Cupcakes - great presentation! 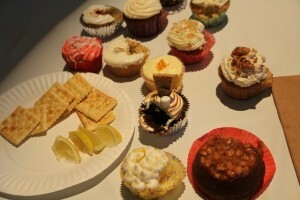 These are the cupcakes that won the “Best in Show.” I can’t even tell you the flavor… I think a lemon. They were very pretty with a purple translucent sugar on top which wowed the judges. The flavor was nice and the frosting super silky. Unfortunately, I was out numbered in votes. I really wanted the Kahlua Cupcakes to win. There were other cupcakes worth mentioning that I loved – a gluten-free pineapple upside down cake was super moist (unusual for a gluten-free cupcake). There was also a carrot cake cupcake that was simply perfect – perfect cake and perfect frosting! I was tempted to give it a ribbon, but creativity was one of the key criteria for judging, and the one thing this pefrect cupcake lacked was creativity. There was also a red velvet cupcake that was very good – moist, bright red cake that tasted delish. But again, not sufficiently daring eanough. I did like the Rootbeer cupcake because of the candy on top — it just needed more flavor in the cake. I really wish I would have taken notes from the carrrot cake recipe so I could make it at home. If you’re the baker who made the carrot cake cupcakes and you’re out there reading this, please send me the recipe! All in all, it was a great day! Thank you OC Fair for inviting me to participate. I had a wonderful time. If you happen to be in Orange County, CA next summer, you should definitely check it out. 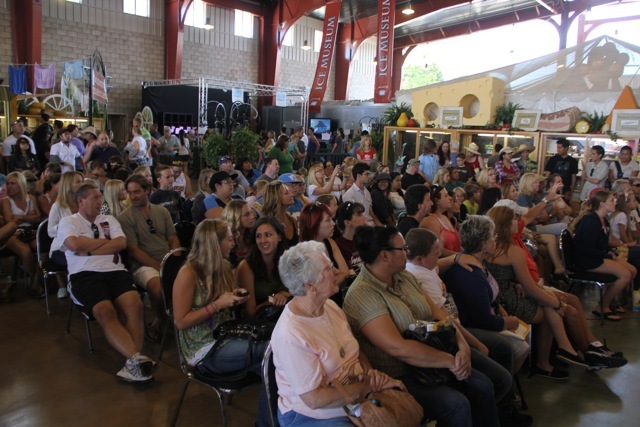 You can also follow them on twitter at @OCFair for updates. Flavor is key – if the cake is a little overcooked or the frosting a but thin, don’t worry so long as the cupcake tastes delicious. When you judge a contest you will take only a bite of each cupcake… seriously, a half a spoonful (otherwise you’ll be carried out on a stretcher due to sugar-induced coma). So you don’t have much cake or frosting to make an impression on the judge. Presentation is important, but if it’s too difficult to eat no one will want to take a bite… so keep it simple. If you are submitting a handwritten recipe or recipe card, highlight the flavor you most want the judge to notice. I took a bite of a chocolate cupcake and was confused by the flavor. It wasn’t until I saw the recipe that I realized it had Kahlua in it. Being clear on your recipe card will help you stand out. Have fun and soak up the day… each winner won a ribbon. 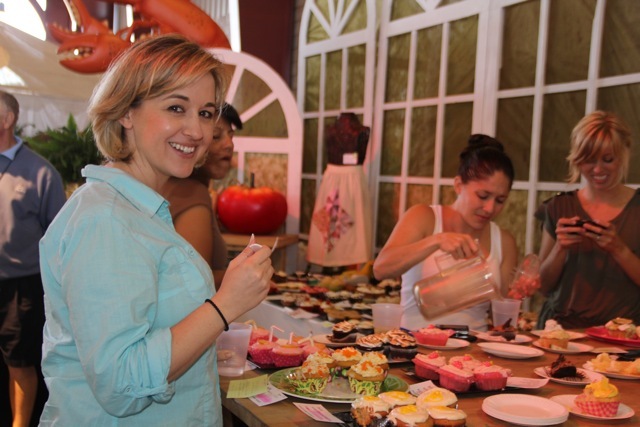 While it wasn’t a large trophy or cash prize, all the bakers were super-motivated to win and had a great time. 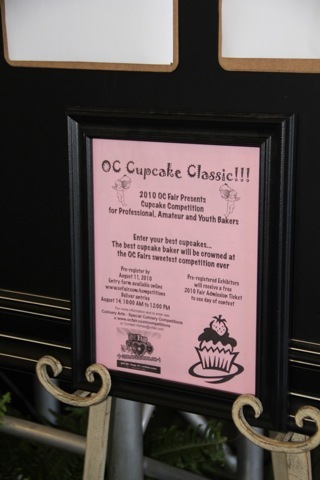 If you want to read another judge’s account of the OC Fair’s Cupcake Classic, check out check out The Cupcake Activist and Fast Food Maven‘s posts. Thanks for sharing the stage with me! Eat light in the AM, but at least eat something. Organizers will (or at least they should) provide crackers. Take super tiny bites of each cupcake. You’ll be surprised how much you can taste with a half a spoonful. If the recipes are provided, read them. They will help you be impartial. You’re not there to judge a cupcake based on what you like, but how true the cupcake is to the recipe and if it’s baked properly. 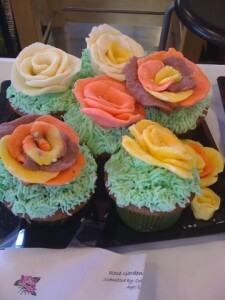 Most cupcake won’t be baked by professionals so don’t compare the cupcakes to your local cupcake shops. Have an open mind on texture of the cake and the consistency of the frosting. Stick around for a few minutes after the event. Most likely a baker or two will come up to you and ask for your opinion on their cupcakes. 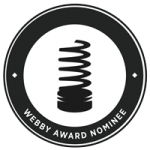 This is a great opportunity to give advice and get more insight on the cupcake so you can learn. One mother came up to me and asked about the Cherry Coke cupcakes and shared how her daughter paid close attention to how the soda was cooked. For me the cake was too dense, but after hearing about how her daughter baked it, gave me insight for baking with soda… it was great for me to learn too! Looking for cupcake recipes? Join us at BakeSpace.com!